Beyern Antler takes BMW’s complimentary mesh wheel style and reinvents it for the modern world. Beyern Antler takes BMW’s complimentary mesh wheel style and reinvents it for the modern world. * The Antler Rotary Forged® Wheel /RF™ Wheel is manufactured using a highly advanced production technique called Rotary Forging® /RF™. 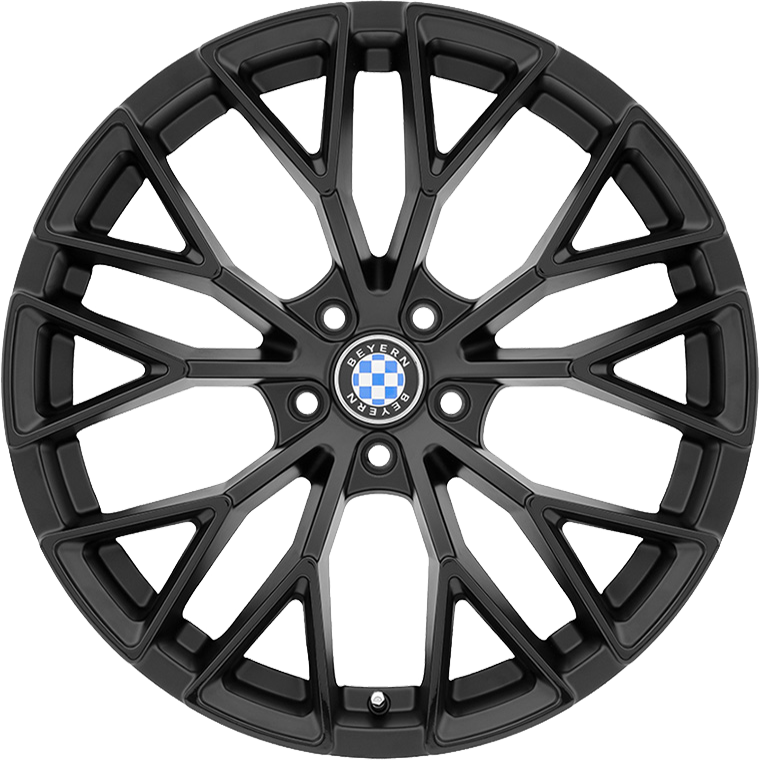 The Antler takes BMW’s complimentary mesh wheel style and reinvents it for the modern world. The wheel features a ten window mesh pattern with sharp corners and three dimensional surfacing made possible only by Beyern’s new adaptation to advance design software. It’s form language was modeled after BMW’s sporty style bumpers and is made to fit perfectly into the mold of the ultimate driving machine. Available finishes include Silver with Mirror Cut Face or Matte Black with gloss back face. The Antler Rotary Forged® Wheel /RF™ Wheel is manufactured using a highly advanced production technique called Rotary Forging® /RF™. The rim of the wheels is forged at high pressure while the wheel is spun at high speed. This alters the molecular structure and enhances the strength of the alloy. The benefit is a much lighter weight than a regular cast wheel. Most importantly, the weight saving is in the outer rim of the wheel which dramatically reduces rotational mass and enhances vehicle performance.